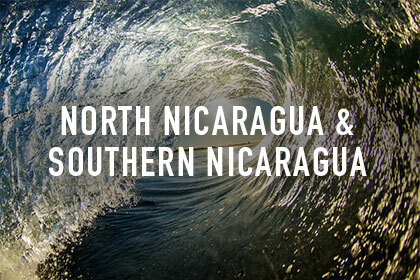 Nicaragua offers bodyboarding conditions at their best, so explore it all! Make the most of your trip to Central America by visiting North and South Nicaragua. It’s well worth travelling the extra miles while those in the northern hemisphere huddle up for the winter. In the north, jungle tracks lead to hidden peaky beach breaks while the south is perfect barrel country. In between coaching sessions you can relax and recharge in hammocks at our beachfront accommodation, take a dip in a pool or stretch your muscles out in a yoga class. Perfect for beginners or intermediate riders alike, Nicaragua’s sandy bottomed, multi peak waves offer epic bodyboarding in complete paradise. There are no dangerous rocks or crowds at the breaks we ride – it’s mainly just us boogers. Many of the waves we hunt we’ve named ourselves and we jump on boats and take daily road surfaris to catch them up and down the coastline. Join us and meet like-minded bodyboarding souls.